NASHVILLE, TN — United Way of Metropolitan Nashville announced that its Board of Trustees has unanimously chosen Brian Hassett as the organization’s new President and Chief Executive Officer. Hassett, who currently serves as President and Chief Executive Officer of United Way of the Greater Capital Region in Albany, New York, will succeed the late Eric Dewey, effective January 1, 2018. The selection of Hassett caps a thorough succession planning and a comprehensive search process. The Board-appointed Search Committee, in conjunction with KornFerry, a global executive recruiting and leadership firm, conducted a nationwide search of potential candidates spanning many non-profit and business sectors to find the right candidate for the position. The selection of Hassett as President and Chief Executive Officer is in line with United Way of Metropolitan Nashville’s mission to partner with the community through three entry points of engagement – volunteer, advocate and give. Hassett has a history of collaborating with various sectors of the communities in which he has served: business, non-profit and philanthropic leaders, local and regional government, and other United Way offices. His understanding of the value and role of each area of engagement is demonstrated through his ability to unite people and organizations around a common cause. In addition to his current role with United Way of the Greater Capital Region, Hassett has also served as President and CEO of the United Way of Chicago, where he managed an operating budget of over $9 million and a staff of 150 in the organization’s efforts to promote the health, education financial stability and safety of the region. Additionally, Hassett previously served as Chairman of the Professional Board of United Way of New York State. Hassett’s other previous positions include President and CEO of the Valley of the Sun United Way in Phoenix, as well as President and CEO of Big Brothers Big Sisters of Central Arizona. 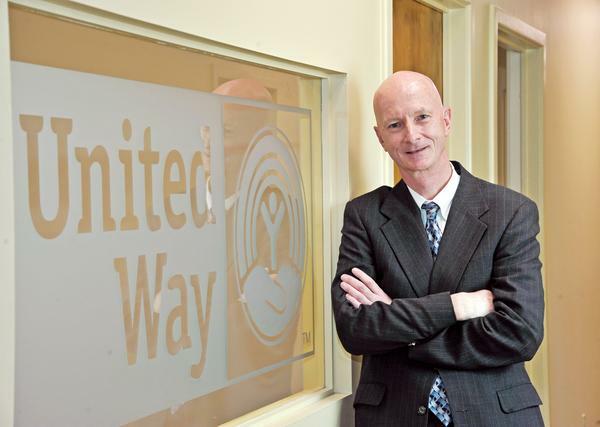 Hassett currently serves as President and Chief Executive Officer for United Way of the Greater Capital Region in Albany, New York, a position he has held since 2011. In this role, Hassett leads a team of 20 individuals in the strategic planning and reorganization of the organization’s annual campaign. Under his leadership, the organization was named Albany Business Review’s “Non-profit of the Year” in 2013. United Way of the Greater Capital Region also received the three largest individual gifts in organization history in 2014 under Hassett’s leadership. Hassett holds a Bachelor of Arts in Political Science from Niagara University in New York. He also received his Master’s in Public Administration from the University of Rhode Island.